According to Sewell, Apple began offering location-based solutions in January 2008, with services now extending across devices including the iPhone, iPad, iPod touch and Mac computers running Snow Leopard–the company notes that beginning with the April 2010 release of iPhone OS 3.2, it relies on its own databases to provide location-based services and for diagnostic services. “Apple has always provided its customers with the ability to control the location-based service capabilities on their devices,” Sewell explains. “In fact, Apple now provides customers even greater control over such capabilities for devices running the current version of Apple’s mobile operating system–iOS 4.” Controls include a single On/Off toggle switch to disable all location-based service capabilities, express consumer consent when an application or website first requests location-specific data, iOS permissions to identify individual apps that cannot access location information even if the global LBS setting is toggled to “On,” and an arrow icon alerting iOS 4 users when an app users geo-specific information. Sewell also clarified data collection protocols specific to Apple’s new iAd mobile advertising network, introduced earlier this month. “Customers can receive advertising that relates to their interests (‘interest-based advertising’) and/or their location (‘location-bsed advertising’),” he writes. “For example, a customer who purchased an action movie on iTunes may receive advertising regarding a new action being released in the theaters or on DVD. A customer searching for nearby restaurants may receive advertising for stores in the area.” Sewell adds that Apple does not share any interest-based or location-based data about individual customers with advertisers; the company retains a record of each ad sent to a particular device in a separate iAd database, accessible only by Apple, to guarantee consumers do not receive overly repetitive or duplicate ads. In the event an advertiser wishes to provide more specific information based on user location, a dialogue box will give the consumer the choice whether to transmit their latitude/longitude coordinates–Apple notes that information is not provided to the advertiser. With app store downloads topping 3.6 billion in 2009 and expected to grow to 6.6 billion this year, market research firm Futuresource Consulting forecasts downloads will leap to 16.2 billion in 2013, translating to worldwide revenues of close to $15 billion. According to Futuresource, more than 85 percent of existing app store downloads are free to consumers, a percentage expected to remain stable over the next few years–consumer spending is nevertheless surging, with the premium mobile app market from developers like GTX Corp continuing to expand their titles. Futuresource says that, along with direct-per-pay downloads, its revenue projections incorporate indirect value-add services like in-app payments and subscriptions as LOCiMOBILE does with its new people finder TRACKING app. “Factor in mobile content revenues which fall beyond the world of the apps store–like direct downloads from gaming companies, handset manufacturers and operators, video downloads, music and ringtones–and the whole package will be worth $38 billion worldwide by 2013,” said Futuresource senior market analyst Patrik Pflandler in a prepared statement. Futuresource adds that app stores also hold significant promise for non-smartphone devices like the forthcomong Samsung Bada OS tablets, and expects applications to become a major feature of connected TVs and Blu-ray players, with a particular emphasis on familiar apps and brands that fit comfortably within the viewer experience. Verizon Wireless, the largest U.S. mobile-phone company, will start selling Apple Inc.’s iPhone next year, closing out AT&T Inc.’s exclusive license on the smartphone in the U.S. – So say inside sources. Verizon could very well generate a 12 million net additional iPhone sales for Apple plus $3 in EPS per year—which isn’t included into current expectations. In the first quarter of this year, a third of AT&T’s iPhone activations came from consumers new to the carrier. In the absence of those 900,000 new subscribers, ATT may have posted a loss in contract customers that quarter, analysts relayed. Apple has sold more than 50 million iPhones since the smart-phone’s introduction in 2007. The latest version, iPhone 4, sold more than 1.7 million units in the first three days after its recent debut, a record for the product. What does that mean for apps and devices running on the Android, Rim and Bada platforms? As the sophistication of these platforms and devices rises, so does the demand for their devices and downloads. More app developers will follow if for no other reason than the potential numbers. Open source is a great incentive and a competitive field provides options to those that don’t feel the love from APPL. The greatest impact will be the inevitable migration to smart-phones which only have a 20% or so share of the total operating global devices, but show a 72% quarter on quarter increase. We will see a further transition to data communications over voice. It may even come to pass that we drop the word “phone’ from the device vocabulary once ubiquity is achieved. Companies like GTX Corp and its LOCiMOBILE subsidiary, have found sincere interest for their miniaturized embedded technologies here and abroad addressing logistic, asset management, people tracking and social networking applications because everyone is asking the “where is” question and GTXO has the “where is” answer. If you are looking for the answer to the “where is” question you have found the answer; the better people finder iPhone, Android and Blackberry apps are available from LOCiMOBILE®. The GPS Tracking App can find one person or groups of people and do so accurately, quickly and privately with a touch of a button. Without ads, badges, check-ins, promotions or gimmicks. 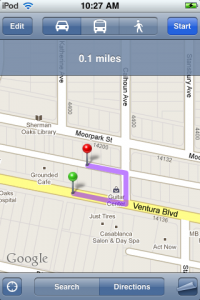 The apps will locate a staff of mobile sales people, an extended family, or the kids at the park. With TXT messaging and photos it’s possible to personalize your locate requests while assuring absolute privacy to everyone. Hundreds of thousand of subscribers use the Apps everyday in 80 countries making it one of the top 25 free and top 10 paid options in the iPhone store. Your network is right in your contact list. Code Mobile delivers missing persons information like no other App. It is the first socially conscience dynamic App that works in the background utilizing Apple’s “Push Notification” and Location Services to provide live alerts of missing person’s within a subscriber’s proximity. Unlike other apps which are basically no more than an open browser window into a national data base, Code Mobile was architected from the ground up by the leaders in the industry- Code Amber News Service. We took 7 years of experience; our number 1 ranked service for reporting missing person’s information in real time to millions of concerned citizens and created a solution for the person on the go. Our custom database pushes out notifications based on last known information and utilizing your iPhone Location Services for proximity, so you receive timely, sensitive information all in the background- allowing you to go about your business but still be in the know when it comes to our nation’s largest problem- Missing Children and Wandering Seniors. Notifications come to you based on timing and proximity- the closer you are to a current situation is when you get notified. “Report a Sighting”- first dynamic App that allows you to report a sighting of a missing person via e-mail right from your phone, direct to our Tip Hotline! Or call the authorities in charge of the case. 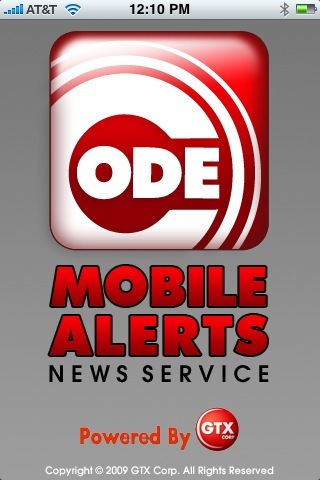 Join the millions of current Code Amber News Service subscribers, download CodeMobile, the best missing persons App, and become part of the solution. Thank you for being a socially proactive person- Code Mobile and You– the better people finder.